While the mysteries of the human genome have never escaped Don, the subtleties of human interaction and relationships are often enigmatic and unknowable to him. Yet, despite his lifetime of never fitting in, Don is determined to find a suitable woman to share his life with. Frustrated with the inefficiencies of dating, Don devises a questionnaire to help him filter his potential mates. Yet, when one woman, who according to his scientific survey is completely unsuitable, captures his heart, Don must reconcile his feelings with his natural tendency toward uncompromising reason and logic. 1. Were you surprised by who Rosie's father was? Did you feel like the ending was rushed and it was hard to know who the father was? 2. 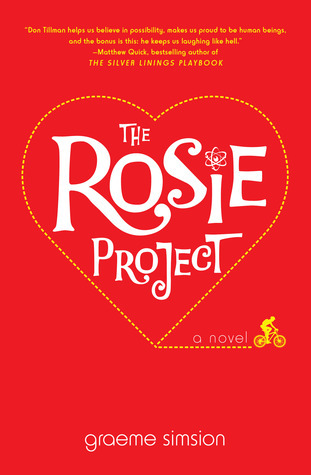 The author is working on a sequel to "The Rosie Project" and a screenplay has been optioned. Are you interested in seeing the movie or reading the sequel? If this book is turned into a movie, who would you cast as Don and Rosie? I would loooooove a sequel although I don't know what it would be about? The main draw to me is all the drama and excitement and everything that leads up to Don and Rosie getting together and I got my happy ending! Nothing more needs to be said :) BUT, a movie would be AWESOME! 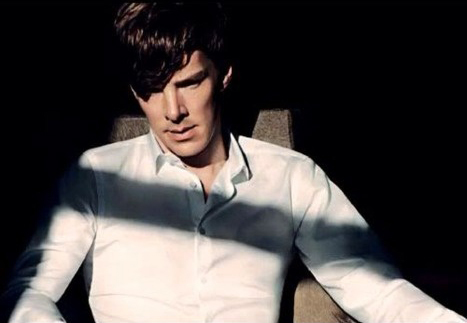 The entire time I was reading I felt like the character was exactly like Benedict Cumberbatch from Sherlock so I think he would make the perfect Don. 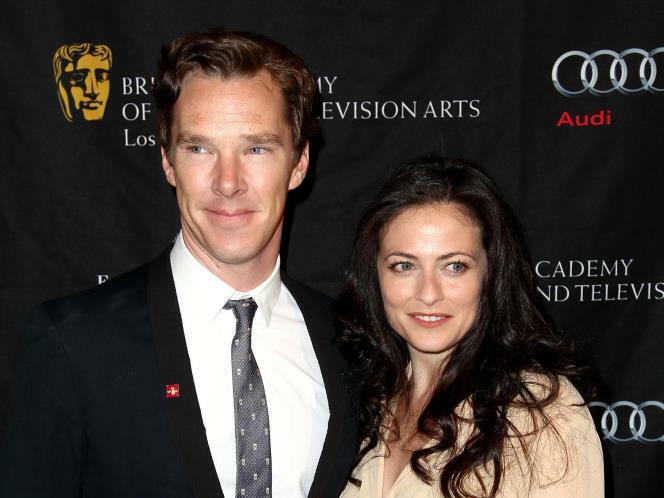 And since I love the chemistry between him and Lara Pulver aka "Irene Adler", I'd cast her as Rosie. They make a darling couple :) Although they're not Australian. But they are British so they do have super sweet accents. It works m'kay! 3. Don goes through a number of spectacularly bad dates. What have been some of your own dating nightmares? Kelsey Noble has another set of intriguing questions on her blog! Time to announce our next Noble Paiges book: GONE GIRL by Gillian Flynn! Synopsis: On a warm summer morning in North Carthage, Missouri, it is Nick and Amy Dunne’s fifth wedding anniversary. Presents are being wrapped and reservations are being made when Nick’s clever and beautiful wife disappears. Husband-of-the-Year Nick isn’t doing himself any favors with cringe-worthy daydreams about the slope and shape of his wife’s head, but passages from Amy's diary reveal the alpha-girl perfectionist could have put anyone dangerously on edge. Under mounting pressure from the police and the media—as well as Amy’s fiercely doting parents—the town golden boy parades an endless series of lies, deceits, and inappropriate behavior. Nick is oddly evasive, and he’s definitely bitter—but is he really a killer? 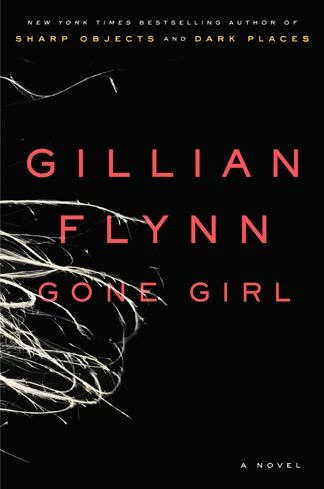 Our next Noble Paiges discussion of GONE GIRL by Gillian Flynn will be on Saturday July 19th 2014 - over a whole month to read so mark your calendars and see you then! And make sure to visit Kelsey's blog for the other half of the discussion! Oh this sounds GREAT!! Will have to check it out!! I thought the book was ok. I found the beginning to be a bit slow, and had a hard time getting into it. I understand that they had to build Don's character, but it was almost a bit too much. But then when it got into the interaction with Rosie I started to really enjoy it. I found the ending a bit rushed too, and very predictable that Phil was the father. A movie might be good since building the character quirks would be a bit easier to do. He kind of reminded me of Sheldon from the big bang theory. Pam, I found the book to be slow at first too! It was a little too long in my opinion, but I think the movie would be great! You are very welcome for the book! Good luck with your little one on the way and an early congratulations! Check out Gone Girl in the future when things slow down! It's really good! 1. I really liked the idea of the Father Project, and how it brought Rosie and Don together. But I did think that the ending, with the revealing of her father was very rushed and kind of vague, since so much of the book focused on this part of the story. 2. I would definitely be interested in reading a sequel, but have no idea where the story would go, after it's ending. I think Andrew Garfield from Spiderman would be great for Don and Maggie Gyllenhall for Rosie. 3. Worst first date, actually started out pretty good, but then on the way home the guy started dozing off while driving and I thought he was going to wreck the car!! well I started the book and got 100 pages into and it and just wasnt in love with it... I didn't have the drive to keep reading :( all I could think of was Don was Sheldon from The Big Bang Theory.. LOL.. I was hoping that the two would get together, I really did like the Rosie character, she was fun!!! Ashley, I totally agree with you about Maggie Gylllenhall for Rosie...that would be perfect! I will admit I had to skim this post because I'm right in the middle of The Rosie Project so I didn't want spoilers (thanks for the recommendation via an Instagram pic) ;) I've already read Gone Girl so I can't wait to hear your thoughts on it. Its hard to put that one down too! I loved this book and read it in one day/night too! Got here late as I was finishing up Divergent. So excited that Gone Girl is next as it has been on my "Must Read" and "Highly Recommended" lists! I love your casting too Paige-BTW! Also, as I was reading this book I thought of several Tv/movie/characters that Don's personality reminded me of; Sheldon (Bing Bang Theory), Brick (The Middle-when he grows up), Max (Parenthood) Rainman, Jack Nicholson's character in As Good As It Gets (so funny that it was mentioned in the book), Adrian "Monk and Bob Wiley (Bill Murray) in "What About Bob? I finished the book before the discussion date, but then forgot to come back to discuss it! Oops! It was a bit of a slow start for me too. I ended up taking over a week to read it. I actually started enjoying it more towards the end of the book, when things really started to pick up in the story. I pretty much called who her father really was almost from the beginning. When they started testing various guys, I kept asking "Why aren't they testing Phil? How do they know for SURE that he isn't her father?" Of course, the curve ball of Gene having been the one who took the class picture and his desire to be a womanizer, had me thinking it was him for awhile. Clever. The ending was a little rushed. So opposite of how it started out. But the author did say that he wrote the book quickly. I will definitely read it. I loved the (almost one-sided) banter of Rosie and Don! And I think this book would make for a great movie. It actually might make the story more cohesive to see it visually. LOVE Gone Girl! It's one of those books that I can't stop thinking about. Can't wait to hear what you think about it. And for the movie to come out in October.